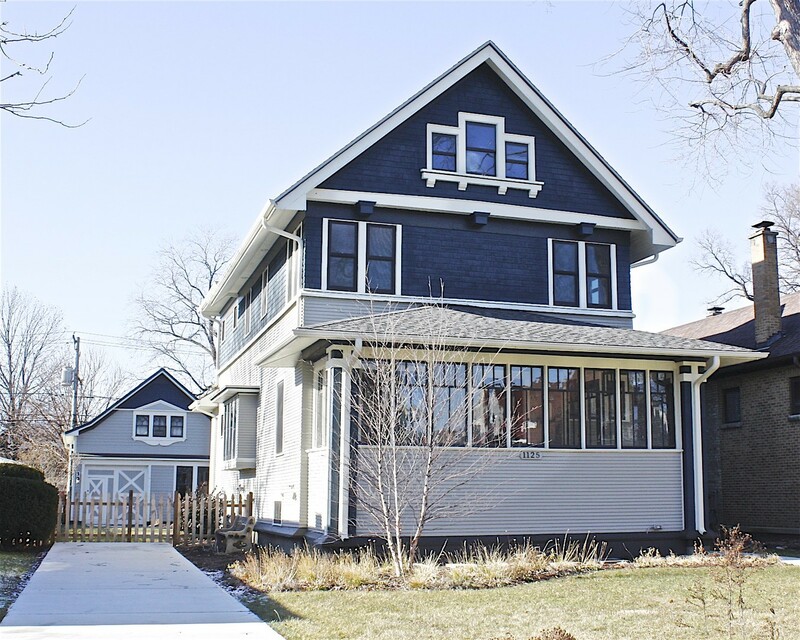 Completely Restored, light and bright, Victorian beauty! ALL NEW: Kitchen, baths, plumbing, wiring, HVAC, roof, copper water service, insulation, subsurface drainage system w/sump pump, overhead sewers, energy star appliances, and more. 3 story addition creates ideal First Fl Family Rm and Master Suite to provide every modern convenience. Sliding doors off the kitchen lead to expansive deck and the over sized 50' x 170' lot. The extensive 3rd floor offers endless options for your at-home office, music room, rec room or more. The lower lever is another 1160 sq ft of finished space, with another New Full Bath, that's is ideal for guest suite or entertaining. 2.5 car Original Horse Barn Garage: New 16'w x 7.5' tall overhead door, sub panel for electric car capabilities and future expansion. Directions: Roosevelt Rd to Wisconsin North to 1125.